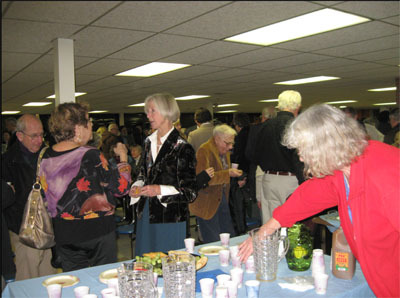 The memorial concert and reception held inmemory of Allen Barker on Friday, December 4th was a wonderful evening for all who attended. 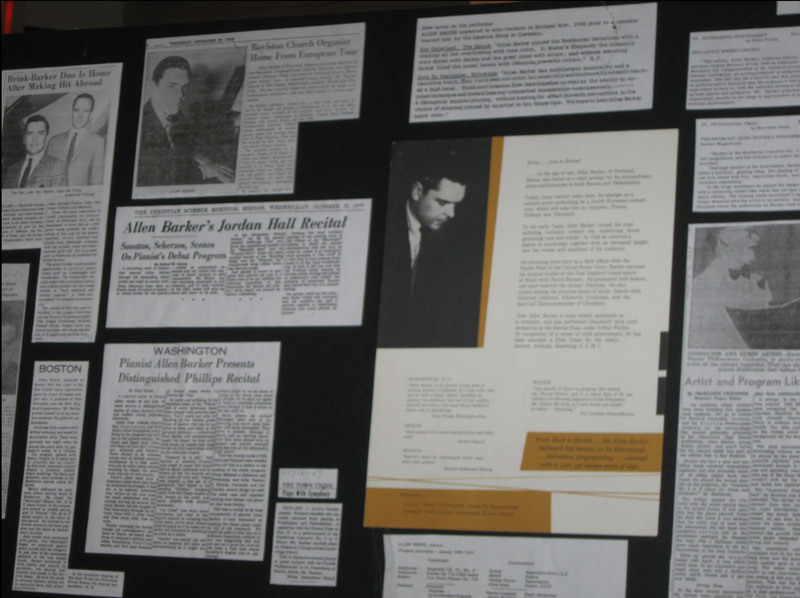 Allen Barker was truly a renaissance man; pianist, teacher, scholar and artist. 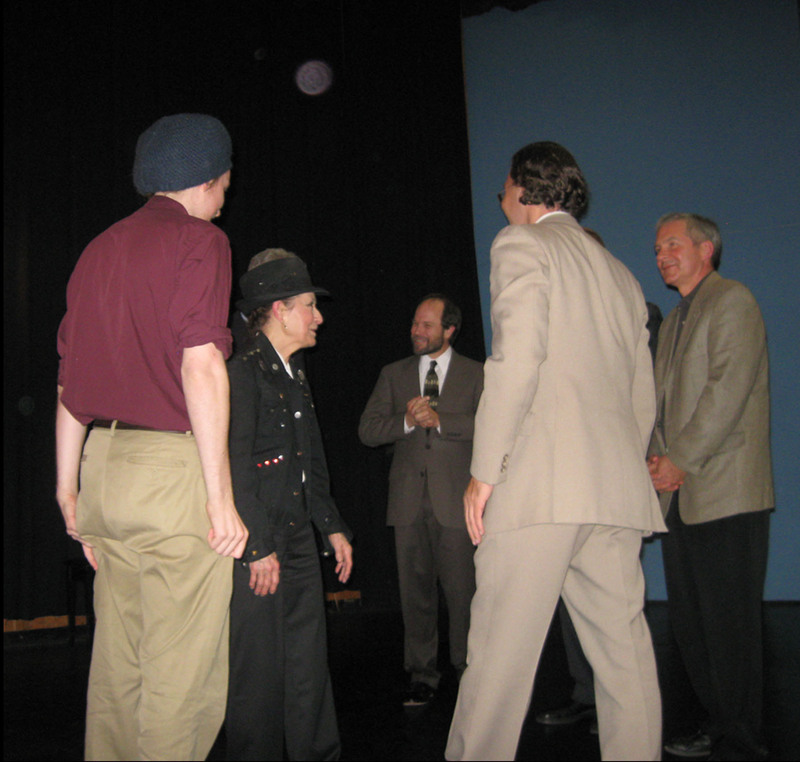 In 1965 he founded the Wayland Little Theatre Concerts which provide quality concerts to the public free of charge. Allen’s belief was that everyone should be entitled to the arts; that an individual’s background should not be a factor in their opportunity to participate in the arts. This philosophy of his was well known to those who knew him. It was a philosophy that was conveyed in words as well as action. The concert brought together family, friends and others whose lives were touched by Allen. One attendee pointed out that Allen never distinguished between people because of their social status. In Allen's eyes, everyone was equal and that is how he treated them. In the spirit of Allen, the evening carried a similar feeling: a comfortable atmosphere where such distinctions were left for some other place. 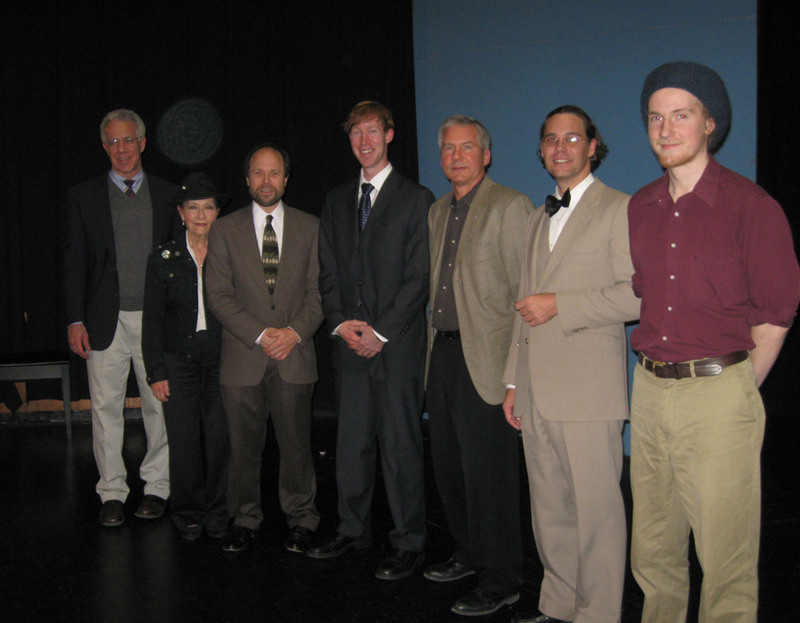 Among those impacted by Allen were the performers: Frederick Moyer, Bruce Pratt, Amy Sievers, Larry Shulman, Noah MacNeil and Evan Lamont. Each spoke of how Allen affected them, and performed in his honor. Hopefully, if one can learn anything from Allen, it is how to live generously, and not just in the music arena, but in all aspects of life. truly a credit to the world. They viewed artwork created by Lester Farnsworth, also known as Allen Barker, as well as artwork created by Wayland High School students. It seemed as though the spirit of Allen was still encouraging the artistic expression of others. As the gathering of people slowly departed, it became apparent that Allen will never truly be gone. He had such a huge impact on so many people, and will touch even more lives in the future through his art and the continuation of the Wayland Little Theatre Concerts. It is clear that Allen will continue to inspire and live on.